The handle is comprised of two parts. 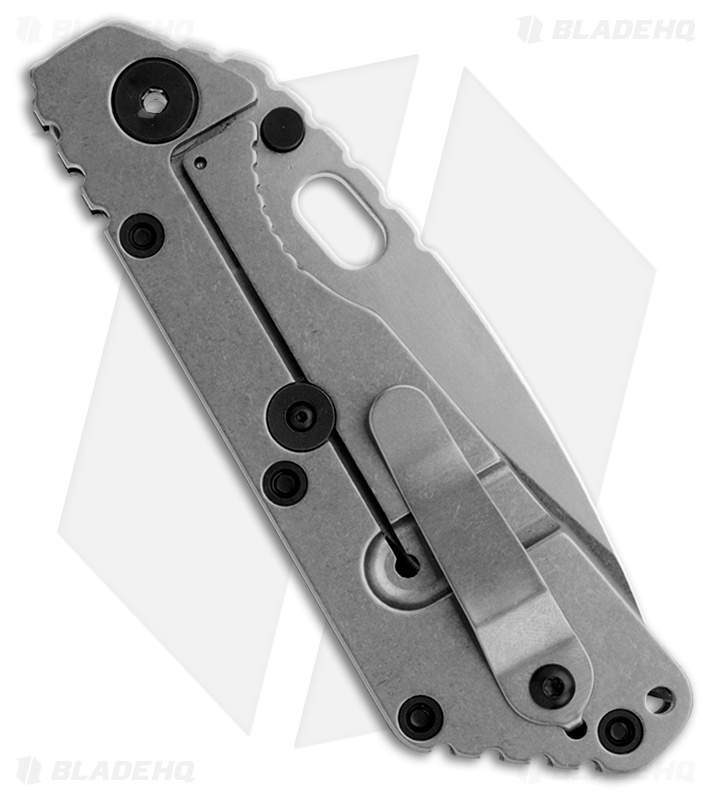 The bottom is a solid titanium frame lock design with stonewash finish. 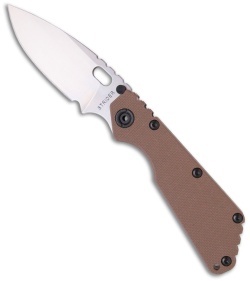 The top handle is textured coyote brown G-10. GEN 2 MARSOC frame lock features lockbar stabilizer with jimping. The titanium pocket clip (tip up) is removable and also has the stonewash finish. The over-sized pivot adds to the robustness of this knife. Lanyard hole. Whether you are looking for the perfect tactical folder or your next prized piece for your collection, the Strider SMF is sure to please. This knife gets two thumbs up from the Blade HQ crew!